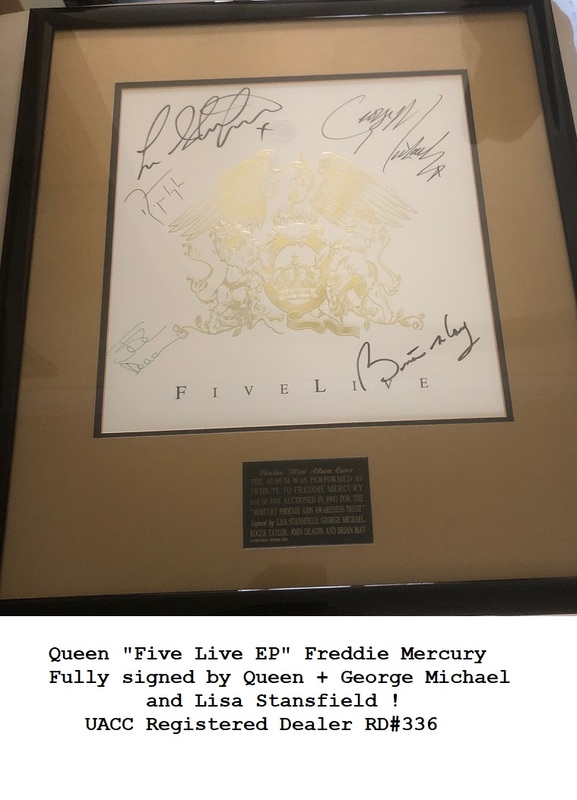 RARE - Only One in stock !!! Signed by artist, and original RAF 617 Squadron veterans. 617 Squadron was the famous Dambuster squadron led by Sir Guy Gibson on the dam raids in WWII. having just released his bouncing bomb. The mighty Mohne Dam has but moments to live. In this powerful and dramatic painting Robert Taylor takes us to the heart of the action with breathtaking clarity as he portrays one of the most daring raids of WWII. Published in 2006, this stunning piece has become one of the most sought after prints in Robert Taylor’s extensive portfolio. Overall Print Size: 36" wide x 21" high. The Bomb Aimer on Joe McCarthy’s Lancaster AJ-T which attacked the Sorpe Dam. It took ten attempts before George could finally release their bomb, scoring a direct hit. 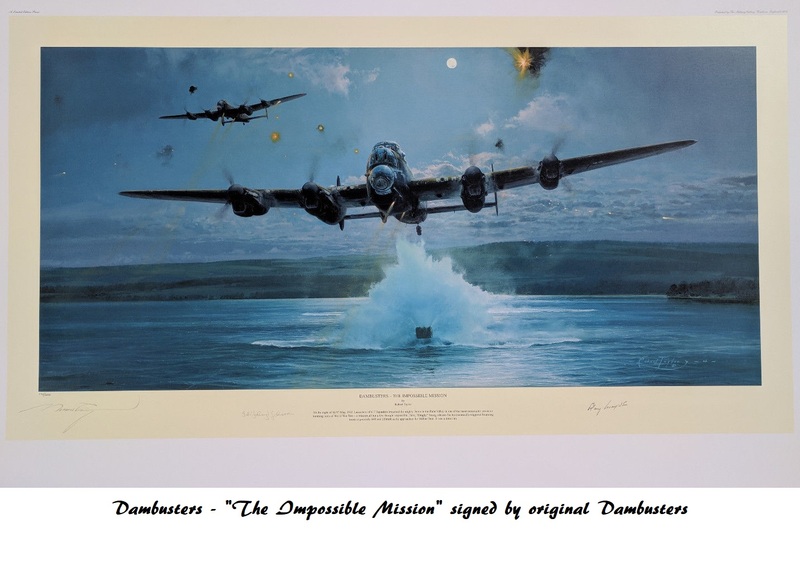 Its rare to offer the opportunity of this outstanding piece to collectors, which is a ‘must have’ for Dambusters enthusiasts the world over. We have just ONE COPY available. Comes with our own Devon Autographs COA with lifetime authenticity guarantee.